Howe-beck, Linde. "Louise Bédard". The Canadian Encyclopedia, 15 December 2013, Historica Canada. https://www.thecanadianencyclopedia.ca/en/article/louise-bedard. Accessed 19 April 2019. Louise Bédard, choreographer, dancer, director, teacher (b at Montréal 26 May 1955). A latecomer to dance, Louise Bédard forged a relationship with GROUPE NOUVELLE AIRE in Montréal in 1979, studying with a variety of modern dance, butoh, ballet and voice teachers from all parts of the world. Louise Bédard, choreographer, dancer, director, teacher (b at Montréal 26 May 1955). A latecomer to dance, Louise Bédard forged a relationship with GROUPE NOUVELLE AIRE in Montréal in 1979, studying with a variety of modern dance, butoh, ballet and voice teachers from all parts of the world. In 1981 she participated in Linda Rabin's O'Parade and soon became a sought-after interpreter for her fearless attack and the lyrical - almost painful - intensity of her dancing. 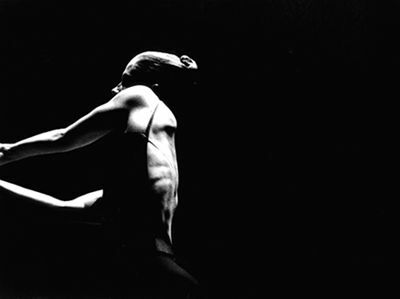 Bédard's talents as a performing artist were confirmed in 1984 when dance pioneer Jeanne RENAUD asked her to dance in a remounted production of Déformité (created in 1947). 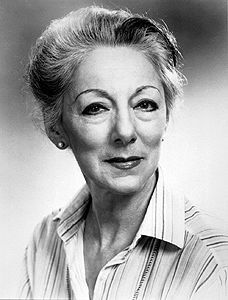 Always an independent dancer, Bédard was cast regularly throughout the 1980s by FORTIER DANSE CRÉATION, O'Vertigo Danse, Sylvain Émard Danse and particularly Fondation Jean-Pierre PERREAULT, where she performed in Rodolphe, Joe, Nuit, Orénoque and Îles. 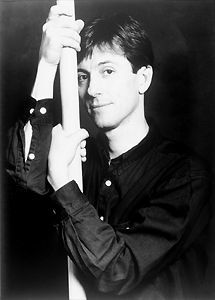 Bédard began her work as a choreographer with Pulsions et dérisions (1983). In 1987 she helped to found Circuit-Est, a choreographers' co-op that ensured a consistent rehearsal venue from which she would create many important works. She formed Louise Bédard Danse in 1990. Les Métamorphoses clandestines (1991), for 4 men, was followed by Vierge Noire (1993), for 4 women. Dans les fougères foulées du regard (1995), for 3 couples, completed the triptych, winning the 5ièmes rencontres chorégraphiques de Seine St-Denis (formerly known as the Bagnolet competition) in Paris in June 1995. In 1996, after several years of choreographing for groups, she made herself a solo work, Cartes postales de Chimère, a poetic journey through a woman's memory. Bédard was awarded the 1997 Jean A. Chalmers National Dance Award for her work as creator and interpreter, with Cartes postales and Dans les fougères cited by the jury for special mention. In 1999 Bédard created Urbania Box, je n'imagine rien for 6 dancers. The following year she and Sylvain Émard choreographed and performed the intimate duet Te souvient-il?, in which the friends and colleagues tenderly revisited their memories. Created in Mexico, France and Montréal, it was performed in more than 50 venues to critical acclaim. In La femme ovale (2003) Bédard returned to solo performance but 3 later works - 2 solos and a large piece - represented her versatility. Ce qu'il en reste (2005), a group work drawn from an interest in German collage artist Hannah Höch, became the second in the Itinéraire multiple cycle as well as Bédard's first piece performed to live music. It toured through 2007. Inspired by Canadian painter Marianna Gartner, the third work in the cycle was born at Ottawa's Le Groupe Lab in 2007. Throughout her career Bédard has accepted commissions from other companies and individuals, notably for Ken Roy in 1998, Michael Trent in 2004, and the Université de Québec à Montréal (UQAM) in 2007. The quality and diversity of Bédard's mainly female-focused pieces continue to impress. Whether the works are large or small, her themes are invariably serious and introspective. Most pieces tour extensively throughout Canada and internationally in France, Bulgaria, the US and Mexico as well as at many world festivals. Bédard also continues to perform outside her company. In 2007 she danced Autumn in Françoise Sullivan's Four Seasons and collaborated with author and actress Louise BOMBARDIER in a poetry and dance presentation at Montréal's Festival international de la litterature. Bédard's choreography converges with her performance style, at once meticulous and infinitely subtle. Every gesture is clearly defined, from the flicker of a cheek muscle to the flexing of a fingertip. Lighting designs and sets are constructed with the same care as her movement. The works are layered; their collective impact is poignantly emotional, a revelation of delicacy and intellect. Louise Bédard has participated in numerous film and video productions, including a televised production of REFUS GLOBAL by Yves Racicot, films of her dance works by Bernar Hébert and videos of her own productions as well as dozens in which she has danced for others. In addition to her intensely poetic and delicately detailed choreographies, Bédard has instigated exhibitions of work by artists related to her creative process, notably Tina Modotti, Hõch and Angelo Barsetti. Louise Bédard Danse has co-produced with other organizations like the National Arts Centre, and participated in residency programs in Canada, Europe and Mexico. From 2006 to 2010 Louis Bédard was a guest professor in the department of dance at the University of Quebec in Montréal.